Local television reporter John Hammarley has been nominated for the prestigious Emmy Award for a heartwarming story about a young Central Oregon man’s quest to help less fortunate kids. 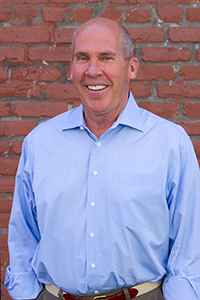 Hammarley is a feature reporter with “myWindow,” a Central Oregon lifestyle show that is featured on the local CBS and ABC stations. Hammarley has covered many local stories over the years, but his story about Devin DeLuca’s mission to help homeless and at-risk kids was something special. “Devin DeLuca was a great kid. Despite a privileged upbringing, his heart connected with his less fortunate peers early on, starting at the age of 5,” Hammarley said. The story about DeLuca and Devin’s Destiny, the project named after him, came to Hammarley in a roundabout way. One might even call it destiny. According to Rick DeLuca, whom Hammarley interviewed for his story, Devin DeLuca wasn’t a typical teenager. “When Devin turned 18, he followed his girlfriend to Chicago and immediately started feeding the hungry there, completely on his own,” Hammarley reported in the TV segment. Devin DeLuca returned to Bend in his early 20s. After battling a mental illness that had plagued Rick DeLuca’s family for generations, Devin DeLuca ended his life on Sept. 13, 2009. The DeLuca family formed Devin’s Destiny to carry on Devin DeLuca’s work for homeless and disadvantaged kids. 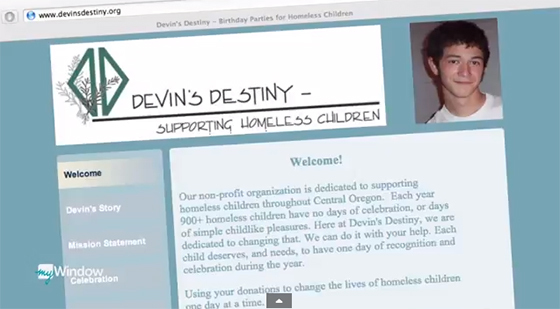 The project provides birthday parties and gifts (anonymously) to homeless and at-risk kids in Central Oregon. Hammarley decided to submit the segment about Devin’s Destiny to the Emmy jury, seeking a nomination in the Human Interest Feature category. The jury nominated Hammarley’s story for an Emmy. Hammarley will attend the gala awards ceremony June 7 in Seattle. It’s not a completely new experience for Hammarley. Over the course of his career, he has been nominated seven times and has received four Emmys. If you haven’t seen the segment, please see the clip below.